Ace Bollywood director Priyadarshan will shoot his comeback movie to Malayalam, entirely in UAE. Titled as ‘Arabeem Ottakavum Pinne Madhavan Nairum’, this will be a hilarious movie shot in a budget of eight crores. Abudhabi Film Commission will give necessary support to the movie, which will tell a plot about the lives of expatriates. The movie will showcase the richness and magnificence of middle east, which is untouched by the global film industry. 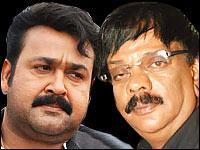 Mohanlal, Lakshmi Rai, Bhavana and Mukesh will don the lead roles in this movie written by Priyan. The movie will be produced by Jhancos entertainments, in which an Arab named Jamal Al Noemi is also a partner. This is the first time an Arab National is producing a Malayalam movie. This fun movie will be distributed by Seven Arts.